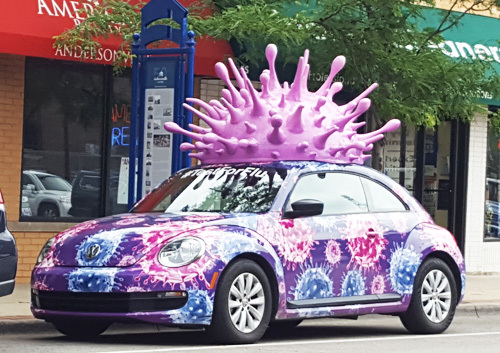 The #TestForFlu Bug, aka the Virus Buster, was in Uptown last week, educating the public about influenza. We saw it parked on Clark. It was kind of hard to miss, to be frank.